I’ve been living in layers for a while now, two kids, from Toronto to Ottawa. A retailer to fundraiser to full-time photographer and, often, daddy-day-care. I skipped a few steps along the way, so last week Mel & I finally went and got married. It was small, just a few closest friends, some family (who could make it), and the kids when they weren’t screaming. We then rushed off to Quebec City – where this image is from. If you haven’t been to this city, you must. It’s filled with fantastic food, and true North American history. For those who feel left out of the wedding we hired a photographer! Who will probably share more of her images as Mel gives the okay. Of course I can’t help but shoot a lot too, though to be fair to my bride I opted to travel as simply as I possibly could. My Canon 7D (no grip) and the Sigma 30mm f/1.4 -> Light, versatile, and forces me to “think” about my shots because there’s no zoom, there’s no other lens. How do I “capture” a given moment with what I’ve got? Posted on Sunday, June 19th, 2011 at 5:57 pm. 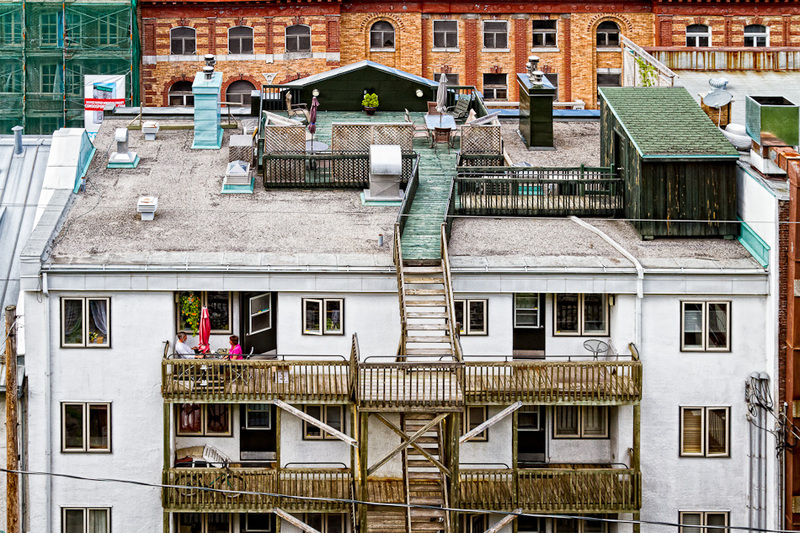 Filed under: Uncategorized Tags: Buildings, Quebec, Quebec_City	RSS 2.0 feed. That's a pretty sweet shot, I love the depth, yet it looks somewhat flat. It's an eye trick! Yep, nice shot. Looks a bit like a very detailed drawing or something like that. Congrats on the marriage! Woot! Neat shot, too. That's my professional opinion: "neat". and now i comment twice in one night;). and you know, the best parts of life happen in layers. and like oreos? the best stuff is sometimes in between:). i had no idea you went with just the 7D and 30mm. too funny. i must have been channeling you when i bought mine;).